Fall is nipping at our heels. With fall comes football, cooler weather, pumpkins, soup and apples! Since apple season is in full swing, I figured I’d look for some delicious apple recipes to share with you all. 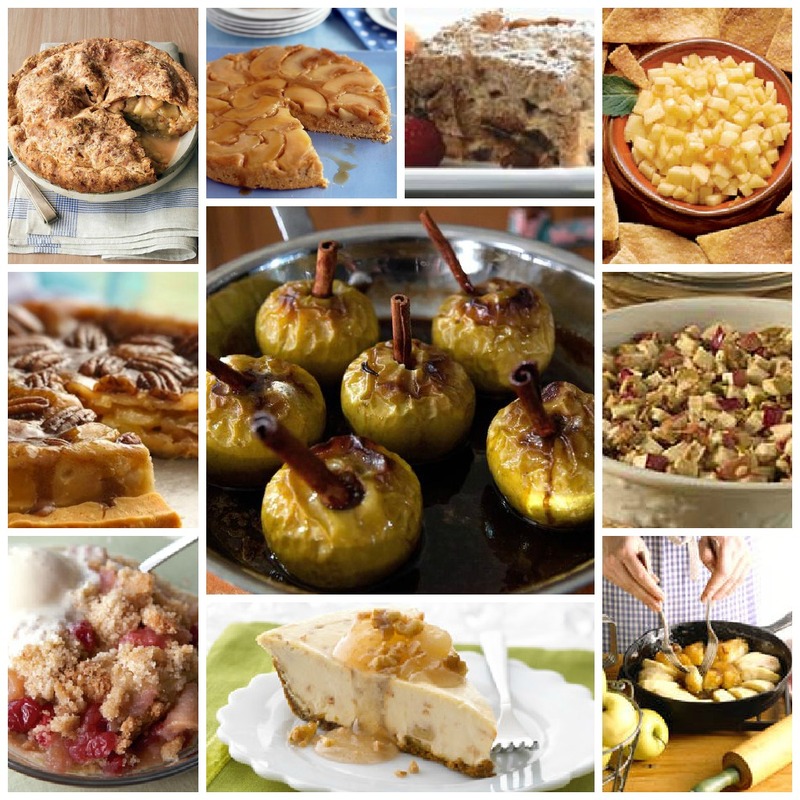 When I first started this blog entry, I was set on finding the best apple recipes – apple pie, apple dumplings, caramel apples – and then realized, why not find some unusual apple recipes that are way more interesting than the same old standbys. Well, move over apple pie! There are some new apple recipes coming through! From Grilled Cheddar and Bacon Sandwiches to a Candied Apple Pie Cheesecake to Cheddar Apple Pie Dip, these recipes are anything but ordinary. 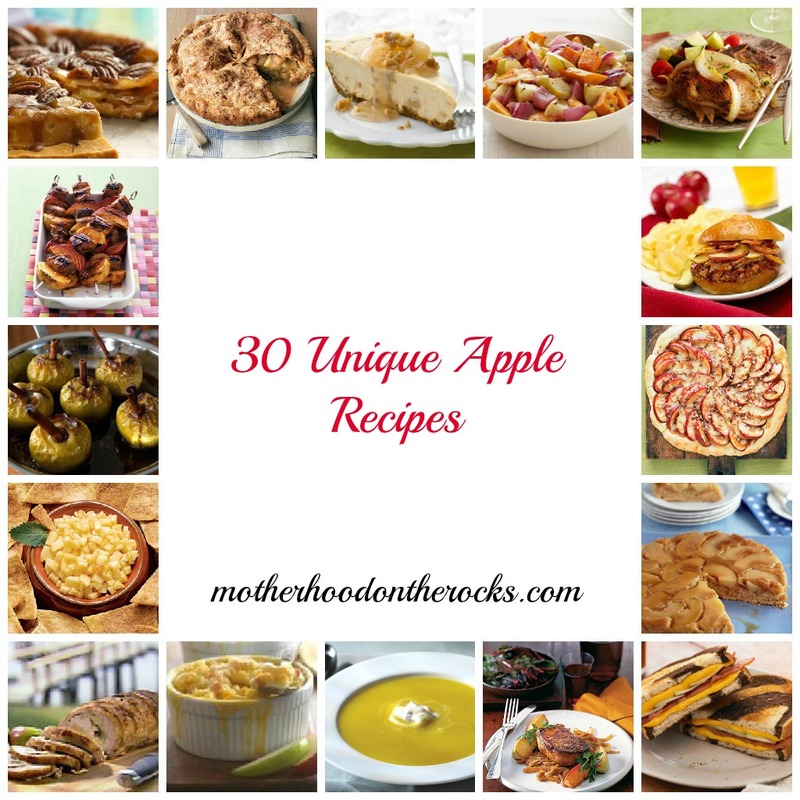 Without further ado, here are 30 unique apple recipes that you’ll be sure to love! Like this? Share it by clicking on one of the social media icons below! i love apples so i love any recipe with apples! thanks for sharing! Oh wow, so many yummy recipes! I am definitely going to have try a few of these. Oh my heavens some of these look amazing! I love cooking with apples this time of year, it reminds me of going to the orchard when I was little. I love apples. This looks so yummy! Thank you so much! Awesome ideas here….I pinned for future reference! They all look so yummy!! This is a fabulous round up of yummy recipes! Thanks for sharing!!! I love cooking with apples for both savory and sweet dishes. These sound fantastic! Thank you for posting. Oh my wow…we’re an apple loving family here and have several trees we can pick from. Now the hard part will be deciding which recipe to try first! Love all the photos. Glad I visited right after dinner! I simply love apple desserts, thanks for the great share! I love apples so I made sure I pinned this page so I can come back often! The sandwiches and the chickens looks so yummy!! PINNING!! Thanks for this blog. I was thinking about apples this fall and what to do with them. I’m definitely coming back. Stopping by from Link’N Blogs. I love apple anything. Thanks for all the great recipes. Yum! I’m definitely going to be trying some of these recipes! This is so timely! Fall is making its presence known, and with the chilly weather I have had some intense cravings for apples and pumpkins. Thanks for this resource! the apple cheesecake looks delish! Oh, those look fantastic! Pinning it! Let me now if you guys try any! I can’t wait to make some of them! Hi there visiting from Blogger Resource group, I pinned the apple banner to Pinterest today. THose recipes look awesome!